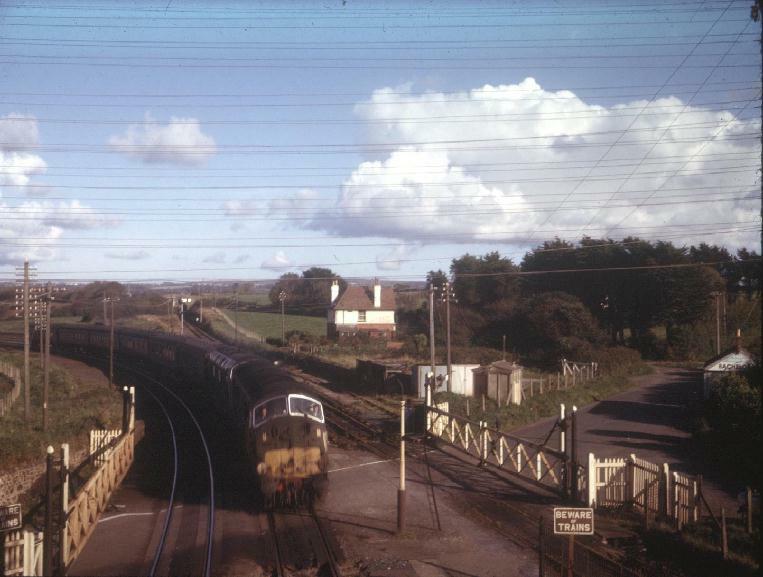 Gwinear Road Junction with the diesel locomotive on the main line heading for Penzance. 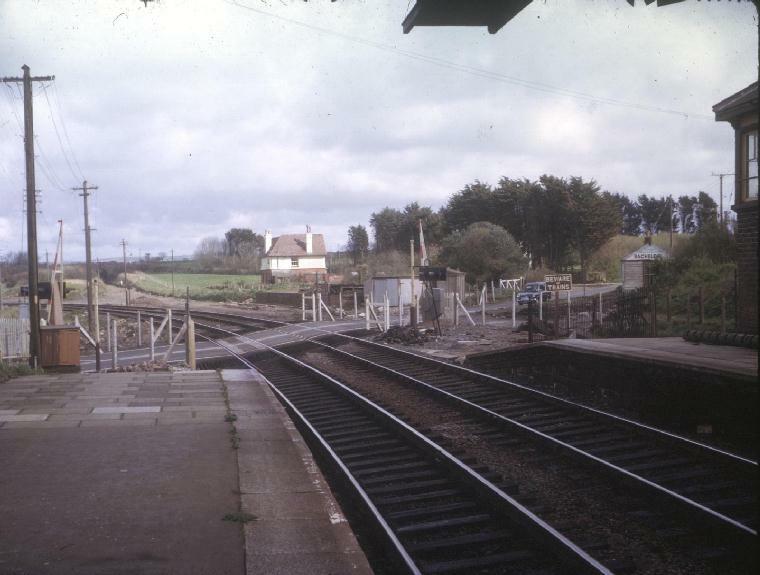 The Helston Branch is the right hand track seen going off towards Praze. 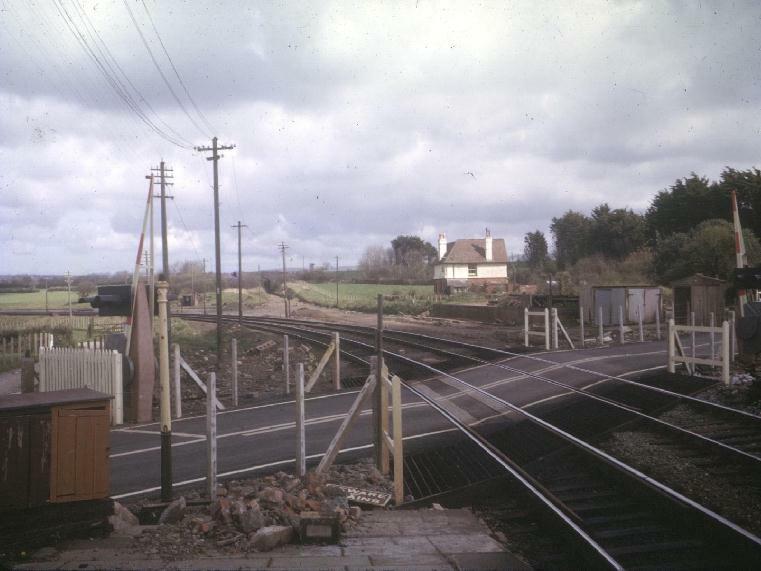 Taken a year or so later notice how the original crossing gates have been replaced by a more modern barrier type. The branch line track has also been ripped up.